Mackie’s new AXIS digital mixing system – designed to deliver flexible solutions and workflow for professional production and system integration applications – is now shipping worldwide. 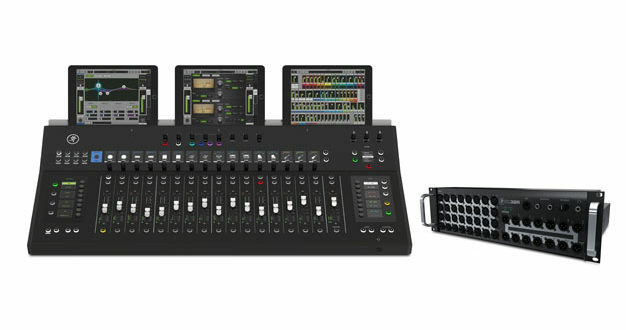 With full Dante integration, the modular AXIS system combines the power of the 32-channel DL32RTM digital mixer with the DC16 control surface to deliver a live sound solution which the company says creates a new standard in live sound mixing workflow. 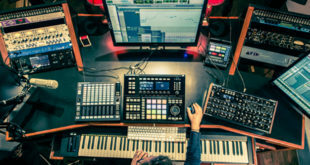 "The Mackie AXIS system is an incredibly forward-thinking, professional digital mixing solution," commented Ben Olswang, Mackie senior product manager. "The workflow is amazingly fast, with tremendous visual feedback and customisation." With 32 remote-controllable Onyx+ mic preamps and 16 outputs paired with massive built-in DSP, the system is ideal for medium and large channel count live sound production and system integration applications. The system relies on Dante for communication between the DL32R mixer and DC16 control surface, enabling additional networking capability for professional applications. Visual feedback is provided by large, full-colour channel displays that are nearly double the size of competitive designs. "AXIS is designed with fast-paced, professional applications in mind," added Olswang. "And visual feedback is critical when you need to work fast. The sheer amount of screen space built into AXIS is amazing." 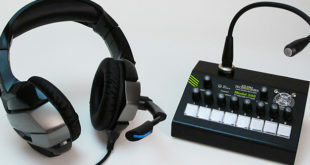 The AXIS design provides a surface-to-wireless workflow, allowing users to seamlessly switch between DC16’s hardware controls and wireless mixing. This is possible via the integrated SmartBridge, which can house up to three iPad devices, delivering simultaneous control over multiple channels and smart sensing that knows when an iPad is in place. The Mackie AXIS system includes the DL32R Rackmount Digital Mixer, the DL Dante Expansion Card and the DC16 Digital Control Surface. 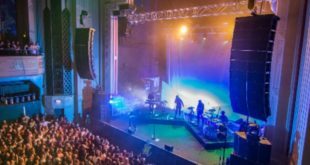 Touring and install packages are available, including accessories like an 80m Cat5e reel, DC16 road case and more, depending on the package.